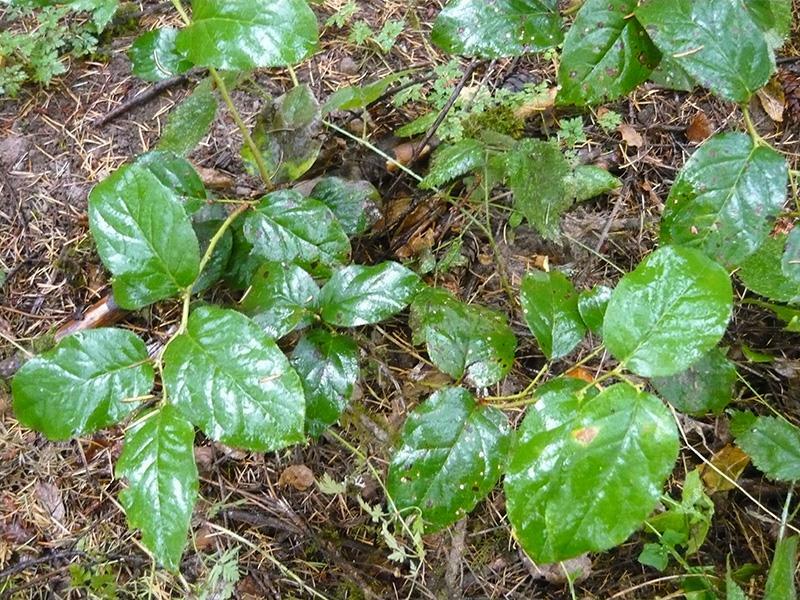 Salal is very common near the base of trees in a forest setting. They can reach up to 10 feet tall in the right conditions. With well-drained, acidic soil that is shaded they thrive better than if they were out in the open, only being able to reach 1 to 3 feet tall and not as dense. The evergreen leaves are simple with an alternate pattern that measure 1 ¾ “to 4” long. 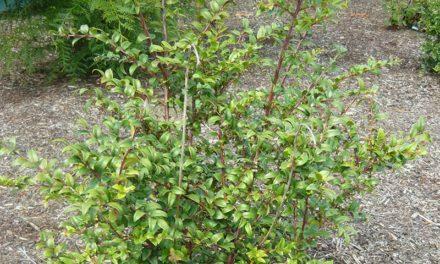 In the summer and fall, white to pink flowers with an “urn” pattern are produced which turn into little edible berries.